This exhibition features four immigrant artists whose work combines traditional media and process with unexpected approaches and juxtapositions. Highlighting artistic boldness tempered with subtlety and self-awareness, Material as Metaphor promises to delight the eye and intrigue the soul. 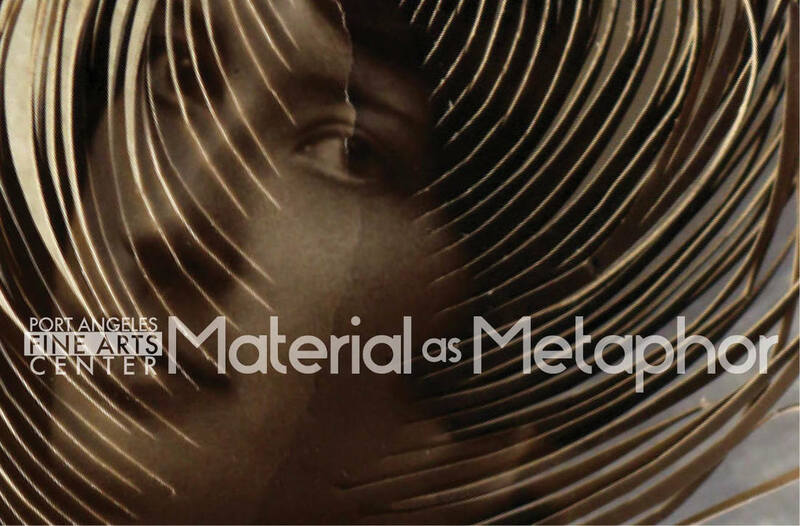 Material is a central feature of each artist’s work, but is never an end in itself. Kristen Soller’s background in psychology informs her understated woven pieces, which she describes as “actors on a stage,” playing out complex relationships. Meanwhile, Carolina Cueva emphasizes process and exploration, deliberately working “outside the confines of a narrative” to create enigmatic, multilayered paintings and sculptures. Feathers, found photographs, maps, and anatomical drawings come together in Miriam Omura’s mysterious, poetic assemblage and installation work, while Kira Tippenhauer skillfully weaves together hard stoneware and soft fibers in her iconic hand-built footed pots.